Dear liver, St. Patrick's Day is the only day of out of 365 days in a year that is dedicated to drinking. After this it's back normal. 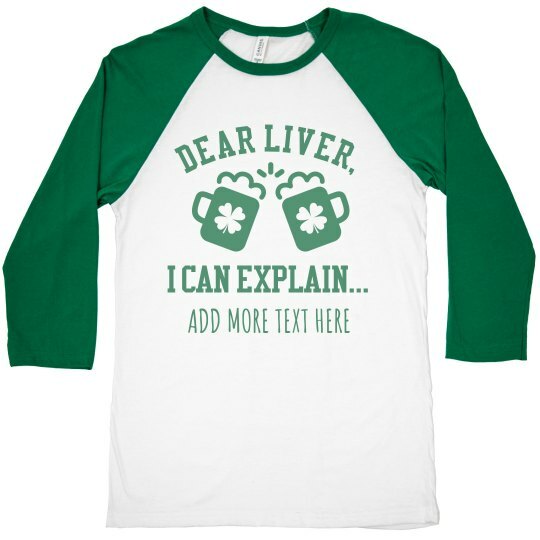 Celebrate the Irish spirit of St. Patrick's Day with a funny custom shirt for when you go out to drinking with your buddies and having a good March 17.